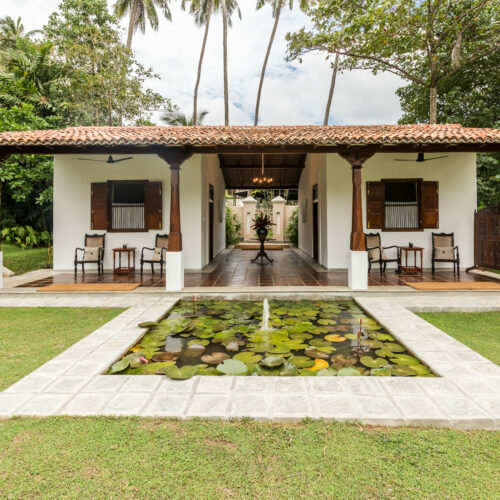 In a relaxed garden setting, moments from the beach, the renowned Rock Villa is a beautiful boutique hotel on the West Coast in Bentota. This beautiful 170-year-old wallauwa (manor house) has been transformed into a two-bedroom suite, with open verandahs and stylish interiors. This bijou hotel has had the recent addition of five spacious bedrooms and suites and is spread over 2.5 acres of tropical gardens, set back from a stretch of tranquil coastline. Relax in one of the hammocks dotted about the garden or by the frangipani fringed pool. The home cooking is well worth a mention and for a small supplement you can enjoy your own al fresco barbecue.